Côte d'Ivoire's was once one of the most prosperous in Africa, but is now marked by high levels of poverty, inequality and unemployment. In 2010, post-electoral conflict led to violence and the displacement of thousands. In such harsh conditions, SOS Children's Villages has been supporting children and young people who are the most vulnerable members of society. The Republic of Côte d'Ivoire gained independence from France in 1960. French remains the country's official language and French influence is still widely noticeable. During the 1960s and 1970s, Côte d'Ivoire was one of Africa's most prosperous nations due to foreign investment and cocoa exports, and was hailed as an African model of political stability and peace. Immigration from neighbouring countries rose steadily as it became known that farmers received high prices for their crops. The economic boom came to a halt in the 1980s, owing to an economic crisis of unprecedented magnitude that heavily affected the country. In 2002, an armed uprising launched attacks in different cities of the country. The event marked the beginning of a period of instability that caused a social and humanitarian crisis. More than 200,000 people were driven out of the shantytowns of Abidjan and their homes destroyed with bulldozers. In November 2010, Alassane Ouattara was declared the winner of the presidential election, but former President Laurent Gbagbo refused to accept defeat. Post-electoral violence erupted and led to the displacement of hundreds of thousands. While Côte d'Ivoire used to be a prosperous nation not too long ago, over 50 per cent of Ivoirians now face a life in poverty. Over the last decades, the country has become one of the poorest in the world. Life expectancy is low at only 58 years and 14 per cent of the country's population are chronically undernourished. 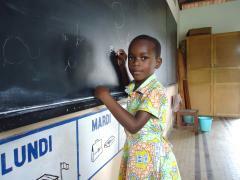 Nearly half the population in Côte d'Ivoire is illiterate. many regions, social services are inadequate and thousands lack access to decent housing, sanitation and medical assistance. Food shortages are widespread. The number of poor has been on the rise partly as a result of the volatility of world prices for coffee and cocoa. HIV/AIDS remains one of the country's major public health challenges as around 3.4 per cent of Ivoirians are HIV-positive. The civil war has displaced nearly one million people. Since Ouattara was sworn in in April 2011, this number has decreased but hundreds of thousands remain displaced. Demographically speaking, Côte d'Ivoire is a young nation: around 40 per cent of the population are less than 14 years old. On average, Ivoirian women give birth to 3.9 children - nearly 20 per cent of them are born underweight. 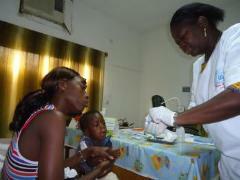 Côte d'Ivoire is also marked by a very high infant mortality rate of 64.7 per 1,000 children. 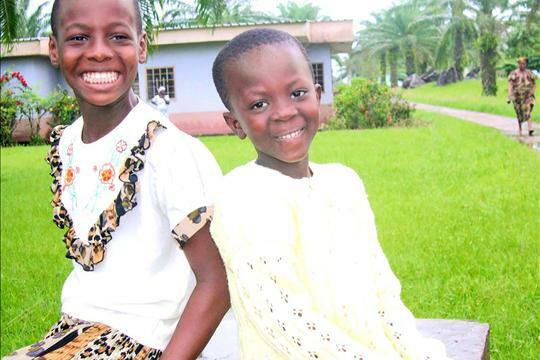 Many Ivorian children face tremendous socioeconomic hardship. The vast majority of the 1.1 million orphans grow up without any support, struggling to survive as street children in the country's urban centres, begging for food and money. They are extremely vulnerable to commercial sexual exploitation, child labour and recruitment by armed gangs. These children are also frequently forced into labour, particularly in cocoa plantations. When post-electoral violence reached its peak, hundreds of thousands of children could not attend school. Some schools were used by the armed forces and thus remained closed. Although a number of non-governmental organisations had been trying to get the students back to class as soon as possible, many schools could not be re-opened as quickly as they had hoped. However, since May 2011, roughly 85 per cent of children in the country's North and West have returned to the classroom. In 1962, a French priest founded "The Village of Friendship" just outside of Abidjan. In the 1970s, he discussed the idea of joining SOS Children's Villages with Hermann Gmeiner. In 1971, "The Village of Friendship" became the first SOS Children's Village on African soil. As the number of orphaned and abandoned children in Côte d'Ivoire was rising steadily, we began working in the Aboisso region in the 1980s. Owing to the HIV/AIDS pandemic, SOS Children's Villages initiated an SOS Family Strengthening Programme in 2004, aiming to protect children who are at risk of losing the care of their family. 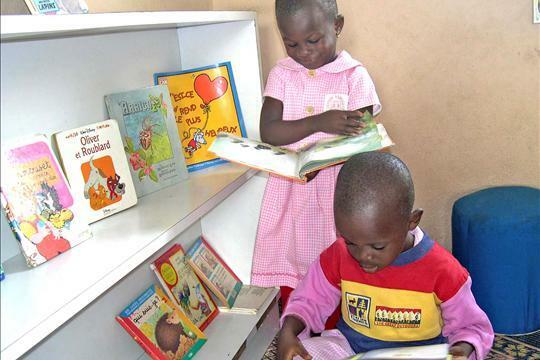 In 2014, the third SOS Children's Village in the country started supporting families in Yamoussoukro. At present, SOS Children's Villages is helping Ivoirian children in three different locations by providing day care, education and medical assistance. Children whose families cannot take care of them can find a loving home in one of the SOS families.